This level has medium difficulty and you need to use good strategy to complete this level. For this level you should try to play from the bottom to break the black blockers. And them start to play near to bubble gum to chew them or else they will block other candy. 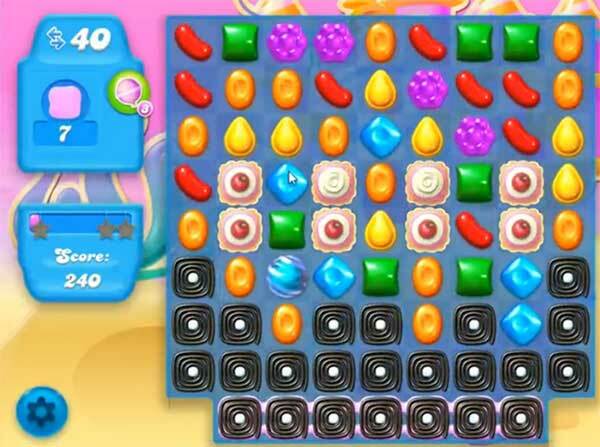 Try to make special combos like colorbomb with striped candy to chew more gums within less moves to reach the target. i just found these tips and the videos – no wonder my friends – the traitors – are so far ahead of me because they didn’t tell me about this!! Thanks a bunch!! !